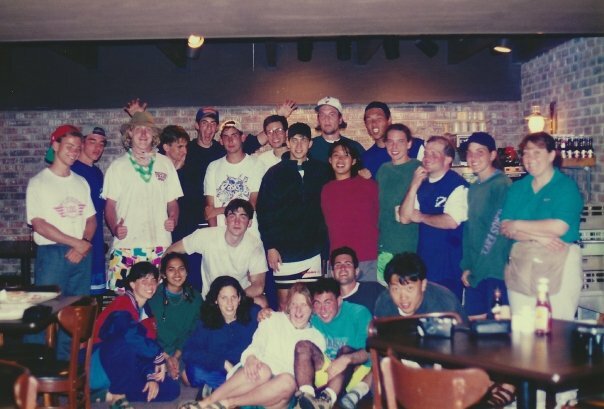 I have lived and played ultimate in Asia and elsewhere for a long, long time. But before that, I played in the States. 1993: Philadelphia. After a year of no organized athletics, it was time to get on a college team. Since the rugby guys never got back to me, ultimate it was. Spring 1994: Philadelphia. University of Pennsylvania Void make nationals. I’m hooked on the sport. Even though I’m a rookie and never get thrown to. I’m killer in the cup though. Fall 1994: Bali, Indonesia. Semester abroad. Throwing around in a ricefield with the kids of my host family. I think I’m teaching them something new and special. 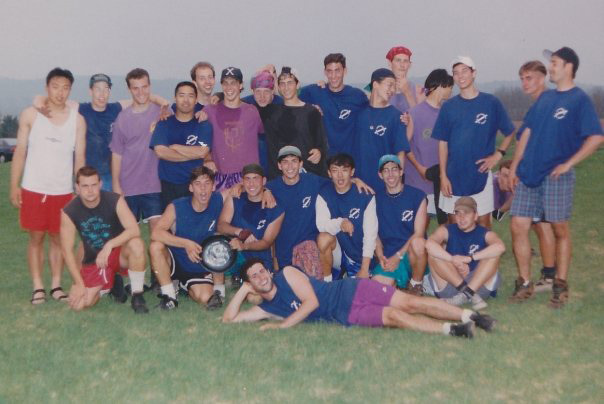 Until the daughter busts out a Midwest Regionals 1993 disc. In other news, huh, Asia. 1996: Philadelphia. Spring/Summer. College career ends. As captain of Void I couldn’t match previous successes and we bow out at Regionals in 5th place two years in a row. I get an invite to play for the then borderline nationals club Philadelphia Rage. I decide to tear my ACL in a hat tournament instead. 9 months rehab. 1997-1999: Portland, Oregon. I played some amazing tournaments with some amazing people. Start the Barflies, which became a Portland Ultimate institution. As coed became an official division of the UPA, I put together a team to make a run at nationals. Elves Gone Bad. But we actually sucked. But dominated the regionals party. Seriously. 1999-2000: Beijing. Rode busses 2.5 hours each way to play pick up. Member of Peking Huck who upset Hong Kong in the final of Shanghai Open. 2000-2002: Hanoi. Added rules to the already existent crappy expat pickup game. Most expats quit. Vietnamese started playing. 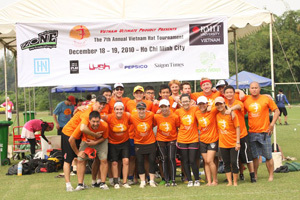 Vietnamese ultimate grows and spreads. 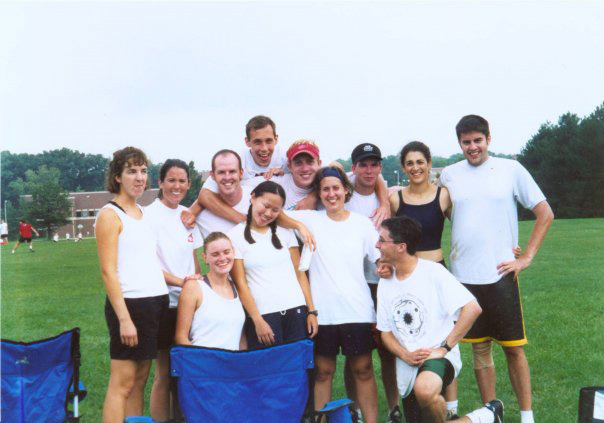 We decided that September, 2001, would be a great time to play our first tournament as a team. Our Sentosa Beach naked point marks a highlight of early 2000’s ultimate awesomeness. No canings. Summer 2002: Worlds, Hawaii. Field Captain for Force Durian Gamelan Orchestra. Ragtag bunch from Indonesia, Vietnam, Hong Kong, China and who knows who else, combines with US college allstars to take 25th out of 50. Throws the best parties by far. 2002-2003: Ann Arbor. Start an awesome ultimate team (a one year project) in a crap town. Deep Thrust. Form team, members start hooking up left and right. Kept in the family it was. The next year played for a crap men’s team. Summer 2004: Madison, Wisconsin. Getting fitter. Playing the best I have played in years. Decide it’s the right time to tear my ACL again. Rehab much harder. I’m old. 2004-2008: Rehabbing. Making some trips to Southeast Asia. Improving my Goaltimate game. Fall 2008: Madison. Play masters. 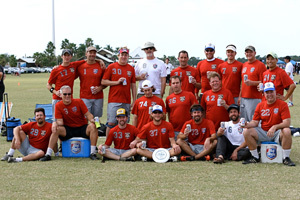 Old Style goes to nationals. Only 14 years between trips to nationals. Not bad. Old Style goes winless. 2009: Naples, Florida. Live with the folks for a year. A little ultimate. Teach goaltimate to the Ultimate community. They love it of course. Getting worse at ultimate. 2010 to present: Cambodia. Cambodia Ultimate grows. First local club starts. Phnom Penh Hat poised to be one of the best tournaments in the region. A great place to play. 2013: The Phnom Penh Ultimate Association makes a horrible decision. I become Prime Minister of Ultimate in Cambodia.